An SUV with all-wheel drive can send power to all four wheels when a low-traction situation is detected. That lets it grip the road better, but it can switch to front- or rear-wheel drive to save money on fuel costs. 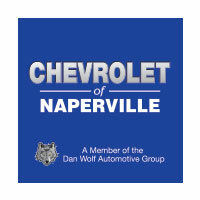 Explore our inventory at Chevrolet of Naperville today! Why Buy a Used SUV with AWD at Chevrolet of Naperville? On top of that, we're easy to reach from Aurora, IL at 1515 W. Ogden Ave. in Naperville, IL, and our service team will keep your vehicle running at peak performance for years to come. Schedule a test drive today to see just how much stability a used SUV with AWD can provide!